Our day trips in Guanacaste, Costa Rica are going great, give us a call to arrange your fly fishing guide on either a jungle river or out on the ocean. 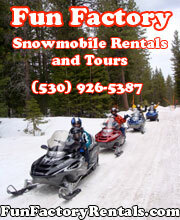 We can also make some suggestions on where to lodge and we provide a free local restaurant list. Our past client for many years Jon Rappaport was all fired up when he caught this rainbow bass. We catch snook, rainbow and machacas in two rivers we guide on. Many clients are enjoying their trips in our great drift boat we offer in Costa Rica with a comfortable casting frame. Success! People are really raving about our affordable trips in Costa Rica, let us show you how! The variety of what you catch is pretty fun and I always like seeing my passport get stamped and adding another specie. That day we caught rainbow bass, snook and this machaca, that’s the “Grand Slam” of Costa Rica!! I booked this trip for myself and my wife. She didn’t think she would have the opportunity to fish but the first thing our guide, Lorenzo, did was rig a rod for her. The equipment provided was excellent, the guide was amazing. Friendly, knowledgeable and funny, We got a “twofer” on this since it combined the fishing with wild life viewing. White faced monkeys, herons, iguanas, and more. After floating the river once we stopped for lunch. Was expecting a box lunch with the usual soggy sandwich but Lorenzo took us to a restaurant on the river and had an excellent lunch of grilled chicken, rice, beans, vegetables and salad. We went back out for another float and he had another drop off to accommodate our schedule. We also caught Fish! Snook, machaca, rainbow bass and I hooked the largest snook I ever had. Unfortunately it broke the line. Later we saw this crocodile on the shore, makes me think it might be best for the guide to net the fish, limit shoreline excursions…. lol – “Tell the guide that you are behind him all the way and you would follow him to the ends of the Earth was my suggestion. Way to go Machaca!! Whoohoo!! 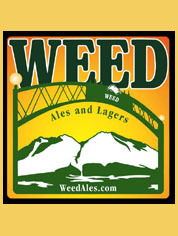 $375 USD for two anglers, includes all gear and a great lunch. Now that’s a great price that won’t break the bank, or have your spouse out trying to get you back! (Haha!) That’s why we got off the package kick for fly fishing. Clients were complaining about their spouses getting them back by booking a trip with their friends for the same packaged price, it was costing families double-time! 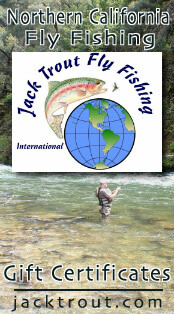 So Jack Trout to the rescue folks, we offer one day trips worldwide to save you money and your family money at affordable prices. 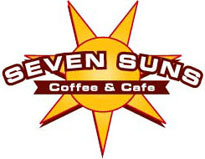 We handle all the details, send you a receipt and a confirmation. You’re busy, why call all those guides you have never met before? Call us, we’re experts in finding the best fly fishing and tour guides worldwide, with a proven track record on Tripadvisor. Are you going to be in Southern Europe this summer? Do you want to dry fly fish Bosnia, Slovenia & Croatia? 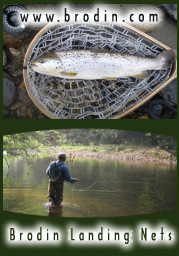 Terrific dry fly fishing with prolific hatches occurring daily. Every evening there’ll be fantastic game cuisine enjoyed with friends and the guides. There’s always plenty to go around. That looks delicious, the food is so wonderful over there, if you like fresh exotic game and great dry fly fishing in a unique location, come to Southern Europe this summer. Our Guide Sasa Dragojevic can pick you up in Bosnia, Slovenia or Croatia and take you on an affordable multi-day- country fly fishing tour. The River Ribnik is the one of Europe’s largest spring creeks, if you like dry fly fishing, bring your favorite rod and hop on! Bosnia, Slovenia, Croatia – Best months – May, June, July .. September October.. Call for a stream update, we always stay in contact with our guides to get you live updates, that’s why you love us!! How can you beat $395 USD per day for two anglers per day, dry fly fishing with your guide and a great lunch! OUR 24TH SEASON IN CHILE, SINCE 1994 A LEADER IN AFFORDABLE DAY TRIPS & WAYS TO SAVE YOU MONEY THROUGH OUR NETWORK OF GUIDES IN EVERY LOCATION OF CHILE & ARGENTINA. All top of the line fly fishing gear, so you don’t have to haul it around the world with you. Another great season in Chile with Mattias and clients that have come for almost 10 years in a row from Italy. Brownie points boys!! Way to go. Nice net Mattias! Looks like a perch to me. Food back at the quincho where we do our lunches. Another successful trip on the Rio Maullin on our private river section. Give us a call to set up your Chilean 2019 trip. You’ll love the food down there, especially if you like steak and seafood. Gustavo is always ready to take you to exotic locations in the Chile Lakes District that is not well known and certainly off the beaten track. 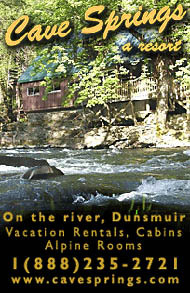 Our private section the Rio Maullin is a great river to catch rainbow, browns and ocean run species. They range from all sizes. Every trip is special because this river is beautiful and 90 % of Chile’s bird’s reside in the trees along our route. We always provide an epic bbq Chilean lunch with appetisers – beer and Chilean select wines. Fish on! It just happened to be one of those days, oh good on you! We are gad you enjoyed your experience. Coni, Mattias’s wife will be there with the kids to pick you up in the end and get you back to your hotel BnB in Puerto Varas. Our behind the scenes help in Chile is what makes us a great outfit, we have a Team Trout Network to help make your vacation the best it can be. Don’t want to haul the gear, no problem, we offer fly fishing gear on all of our trips worldwide to make it easier for you on vacation. Valerie caught this beautiful brown trout on the Rio Maullin in Chile this past season, still have April, one of the best months for fly fishing the Lakes District in Chile with all the ocean run fish and absolutely no dams anywhere! Spent 5 days in the beautiful Lake Region at the Hotel Cumbres in Puerto Varas. The region is lovely with the lakes, rivers, mountains, and volcano’s. 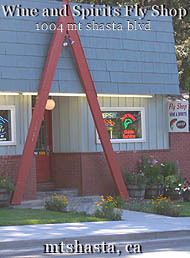 The town is charming with many good restaurant choices. Jack and Carola Trout arranged a private driver to transfer us to and from the airport (Sebastian was wonderful). Then booked us with another private driver to tour the Chiloé area and view the Penguins. Very nice day. The last 3 days they scheduled guides for us to fly fish with. Matthias Bayer had us float a private access stretch of the Maullin River. Caught many nice fish on streamers. Very good day. Then we had 2 more fun days with Gustavo Arenas on another stretch of the Maullin River and a day on the beautiful Lago Todos Los Santos. Thanks for Jack and Carola for helping us have a fun week! Wading is the way to go on the Rio Petrohue when water levels are right. We offer one day fly fishing trips in all islands of Bahamas including Nassau, Andros, Grand Bahamas, Abaco > Mas! $575 USD Day trips includes – All gear & flies, a great lunch for two anglers – We service the Atlantis Resort, Bahamar Hyatt, Paradise Island, Disney Cruises at Nassau Bahamas. WE ARE A FLY FISHING SHORE EXCURSION PROVIDER FOR CLIENTS ON ROYAL CARIBBEAN, DISNEY CRUISES. Bring your kids, lets get them hooked on saltwater fly fishing, teach them a new passion they can pass on to future generations and enrich themselves. My husband and I used Jack Trout to arrange a day fishing for bonefish while we were in Nassau. Jack arranged for a local fisherman to pick us up and take us out on his boat for the day. Our guide name was Sydney – he was friendly, polite, and very skilled. The weather delayed our original day scheduled, but we rescheduled and it ended up being a very nice day. We saw many bonefish, caught a couple, and caught several jacks. 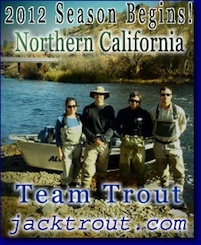 We had a great day and would recommend Jack Trout for future fishing expeditions! We have been jumping schools of over 1000 bonefish, let us get you set up for a affordable trip to the Bahamas, let’s chase some big boys! It was a great tour. Our tour guide was Jessee he was very attentive and met us outside the port to begin our day. They customized the tour to our interest and we had 2 beautiful vintage cars to take take us around. They even arranged for a vintage convertible car tour that was priceless all around Old Havana. I definitely recommend this tour company overall a job well done! We’ve been providing romantics like these two with classic car tours in Havana since 2015 . We have a car for every occasion in all parts of Cuba. Our recent tour of Havana with Katia of Cuba Classic Tours exceeded expectations. We were able to add a visit to Hemingway’s house and Jose Fuster’s mosaics. Both were outside the city and in opposite directions, but Katia graciously accommodated our request to add these to our tour. We saw all the standard “must see” sites accompanied by a fluent and knowledgeable commentary. In addition we visited a local grocery store and a butcher shop to gain some insight into daily life of ordinary citizens in Havana. An absolutely grand tour in a magnificently maintained 1956 Ford. I was given Jesses email by a friend who highly recommended him. I have to admit i was dubious as I normally hate organised tours, but on a whim i sent an email. And I am so glad I did. Not only was he very patient with all my questions prior to arriving, but also organised to collect us in a classic car from the airport (very helpful to have a spanish speaker when trying to withdraw CUCs!). Then had the most fabulous tour of Havana in another stunning classic car (all with air con) where his knowledge was boundless. As it was my birthday he also offered to take all the photos so we were really able to absorb the information and the atmosphere and still come away with professional quality photos. Plus he bought me cake 🙂 Due to a hectic work load we hadn’t been able to organise a section of the holiday to relax. We asked Jesse whilst on the tour if he knew of any nice beaches we could stay for a few days to really unwind. Before we knew it he had organised a 2 day mini break for us in what i can only describe as paradise! Plus organised the taxi there and to take us back to the airport again. I can’t recommend Jesse enough. We’ll be waiting for you when you come off the cruise ship. We help couples with itineraries, where to go, where to eat, what are the best museums, even a trip out to the white sands of Santa Maria Beach, we can help. We were traveling with a group of 12 and had prearranged a 6 hour tour with Cuba Classic Tours. Due to immigration issues it took us 2 hours to debark from the cruise ship causing us to be 2 hours late meeting our tour guides. Jessie, our main tour guide was very patient and provided us with a very thorough tour of Havana. Our group had reserved 6 old cars for our group of 12. There was a driver and tour guide for each car. Each guide individualized each tour according to the request of each couple. The tour lasted 6 hours and included walking and driving. Jessie arranged a dinner reservation for our group. We had dinner in a Cuban home and were entertained by a 3 member Cuban band. Each guide was very knowledgeable about the history of Cuba. Every minute of the 6 hour tour was filled with information. We were able to take lots of pictures, purchase cigars, rum, and other collectibles. When traveling I always look for drum sticks for my son. I was very doubtful that I would find any in Havana but Jessie kept searching until we found them! In summary, the tour was outstanding! I would highly recommend Cuba Classic Tours! Many people are calling us from the cruise ships, they are getting charged 3 times what we charge, give us a call, we’re here to help Americans and the world save money on Cuban travel. Everyone loves stepping back into time and cruising around in a American Classic. Another wonderful tour with Jesse and Katia! Let us help your family tour Cuba, our network of guides know the perfect places for you and your family to go to while you are visiting Cuba. We help families and people off the cruise ship every day. Havana Cuba is a wonderful place for a family to visit, call us if you plan to go or know someone who is traveling. Brilliant Helpful and interesting tours. I had never been to Cuba before, and saw this tour on Trip advisor, and I am so glad I did. Our Guide Jesse was so helpful, from the time we inquired about the tour to the moment we left Cuba. He went out of his way to make sure we saw everything we wanted to see, and bespoked our tour especially for us! I e-mailed Jesse before we arrived, and he gave me all the info on changing money in Cuba, and Taxi’s from the Airport. Jesse collected us the following day and we went on an amazing tour to Vinales (in a beautiful Classic Car) to see the tobacco fields. We saw how cuban cigars were made, and visited some indian caves. Stopped for a beautiful lunch in an amazing locals house / restaurant. He is a very knowledgeable guy, and is great with the history of Cuba. We learned so much. Then Jesse arranged our transfer (in another beautiful classic car) to Varadero (with some more tours and info along the way. We stayed in Varadero for 3 days, and Jesse also organised us a transfer back to the airport in another stunning Classic car. I highly recomend Cuba Classic Tours, and you can be sure you will be looked after and the tour designed especially for your individual needs. We are Vegan, and Jesse was able to help us with the language barrier and to find great food too. Enjoyed our day. Great way to start your trip to Havana. My husband, 14 year old son and I thoroughly enjoyed our day with our guide Katia and our driver Jan. In advance of our day out with Katia, Jack and Jessie gave us good advice and accommodated a change of plans. We had a few places we wanted to go and things we wanted to do in Havana. Katia and Jan were flexible and worked out the best routes. 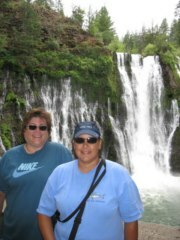 We enjoyed getting to know Katia who is very knowledgeable, highlighting sites and history as we traveled and chatted. We also enjoyed time at Santa Maria beach during our tour. Very nice way to travel. I felt well taken care of. One of the best experiences of our trip. A great way to get oriented to the city. Hot and sunny in Havana. Although a convertible might seem like a good idea, I was glad to be in a classic car with air con vs a convertible. Couples is our specialty in Cuba, let us show you around. Steep off your cruise ship, we’ll be waiting for you in the designated location we send you a description and pictures for. We’re making people’s dreams come true in Cuba, there’s so much to enjoy and see, like Hemingway’s House and our special access. Just like he left it in 1961 when he left us. You will absolutely love this tour we promise. They are harvesting the tobacco in Cuba right now as March is harvest month, we take people to the best farms to buy cigars, you can still take back 100 cigars and 100 bottles of Cuban rum. We got a great tour in mind for you! Hemingway’s Boat – The Pilar Havana Cuba March 2018. Havana Cuba a magical place with awesome food, history and places to check out, let us know when you’re ready to go. We offer the only one day fly fishing trips from Havana to the Bay of Pigs Cuba. We catch tarpon in this freshwater river called the Rio Hatiguanico. Tarpon are jumping everywhere, it’s an amazing thing to witness, but when start hooking tarpon, that’s was one of my favorite fly fishing memories ever! There are juvenile tarpon thrashing and jumping all over the river and we catch them on flies. Yes, It was blast. I enjoyed very much. I will try send some photos but internet not good in Havana. I will send you when I get to Iceland. But fishing was great, 26 bone fish and 6 tarpon and I lost many more. Our client Jon Thor from Iceland called us last minute and caught a lot of ocean species in his two day trip with us. Jack Trout Fly Fishing International Offers Fly Fishing Day Trips In Belize At: Ambergris Caye, Belize City, Caye Caulker, Dangriga, Glover’s Reef, Hopkins, Punta Gorda, San Pedro – Every Location In Belize. I’ve known these two boys since they were 7 years old, Darrin and Rabi are the next generation of guides in Belize and we are all in good hands. We go out daily and depending on the tides – Low tides we go for bonefish – Mean tide to high tides we are looking for permit and tarpon and moon phases does play in row in catch rate, so let’s go over that too. My wife and I have something good instore for you when we plan your vacation. Lloyd Nunez – My head guide for over 20 years, we are proud to serve you. 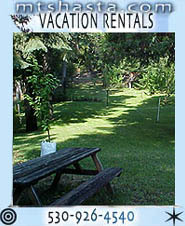 Nice weather week in Belize, after May the off season prices kick in and you can save a lot of money on lodging, etc. Had a great day fishing, awesome guides & put me on over 20+ permit, had 5 chasers but missed all of them. I lost one nice tarpon & landed 8 bones, 3 real nice ones. Was a dream day – amazing. We have a fantastic program in Spain, let us help you determine where is the right place for you. We have guides in Northern Spain, Pyrenees, Andorra, Picos de Europa and out of Girona near the French border. We pick anglers up at train stations and we can provide gear for one day trips. There’s some really great trout to be caught in Spain, surprisingly enough, it offers terrific dry fly fishing and is one of the hottest fly fishing destinations in the world right now. 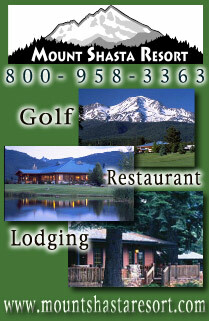 SEND US YOUR TRAVEL ITINERARIES ABROAD AND WE CAN SET UP ALL YOUR CRUISE SHIP FLY FISHING. I am off on another Seabourn cruise in the Summer. This time to Alaska from 16-28 June. Would it be possible to have a day’s fishing at one of ports we visit. In particular, Ketchikan on June 19 where we arrive at 8am in the morning and leave at 11pm in the evening seems a good day. PYRAMID LAKE IS NOW HOT STUFF!! Now’s the time to head to Pyramid Lake and catch a wild Lahotan Cutthroat on a fly. Pyramid Lake has the largest trout in the world that are native, indigenous, not stocked or introduced trout. This is the original home of the Whopper! I bought an Oregon Fly Fishing Gift Certificate for my son’s 25th Birthday – I don’t know anything about fly fishing but my son does. After I gave him the Jack Trout Fly Fishing Gift Certificate, he was pretty excited to plan his trip. They were extremely flexible, discussing with my son on where and when he want to go. The guide was a “great guy and really knowledgeable”. He learned a lot about spey casting on the Sandy River outside of Portland Oregon! Thank you so much! 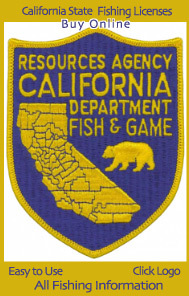 Lower Sacramento River has been an amazing fishery this winter. You can rely on this river when all others are off color or fishing slow. I haven’t had a slow day on this river all winter. Great people coming in between foul weather and we had good fishing on every high pressure day. 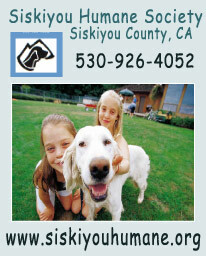 John Rogers is a lender at Apex Mortgage in Pleasanton if you need a loan or a refi. 🙂 He’s a straight shooter. Whoohooo it’s a lunker fest folks !! We get many people who call for their first time fly fishing in California, we always show them a good time. Seriously people, time to make plans and get up here, the fishing is going to be early his year! Chunky !! We are mainly catching trout on Caddis nymphs and may fly nymphs, call me for specifics. Went out with Jack and his dog, Beef, on the Lower Sacramento to do some fly fishing for rainbow trout. I had called around to various guide shops asking about going fishing for steelhead, and everyone I talked to essentially listened to what I had to say and then was ready to take my credit card info. to book a trip. When I called Jack, he told me that the steelhead fishing hadn’t been good this year and thought that fishing for rainbow trout on the lower Sacramento would be more successful, and we might even catch a steelhead or two as well. Jack continued to provide helpful info. about the river, our gear, and my fishing technique throughout the whole float trip down the river. He also patiently re-tied my terminal tackle every time my casting caused a bird’s nest; much faster than my own skills would have allowed, and getting me back to fishing quickly. I would highly recommend Jack as a fishing guide, especially for those who are looking for a relaxed guide who is more than happy to share his knowledge. 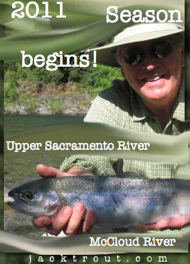 This is my 24th season of the Upper Sac Raft Fly Fishing Trips, give us a call to schedule your trip! You’ll love the Upper Sacramento Canyon, where we’ll catch great trout, see bald eagles and have a wonderful bbq lunch streamside. Beef Dog sure is looking forward to this season out in the boats. Another Magical Year On The McCloud River – OPENS APRIL 28th, 2018 Last Saturday in April. 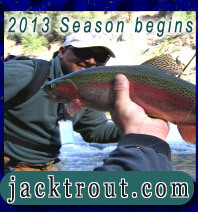 Can’t wait for the McCloud river to open, so many countries first got their rainbow trout from this river. Copyright © 1994 to 2018 Jack Trout Fly Fishing International & Tours, Inc. All rights reserved.